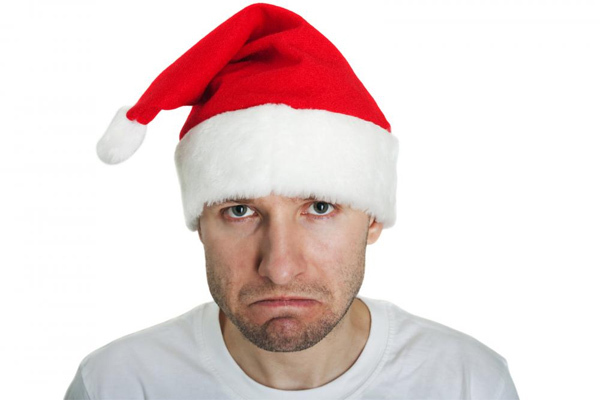 Are you wondering how to cope with spending Christmas alone? It is that time of the year again. Yet, this time you fear Christmas. Spending such a holiday all alone can be truly dispiriting. One reason or another has led to the fact that you are all alone on Christmas. Do you have to feel sorry for yourself, get drunk and indulge yourself in loneliness and depression? The choice is yours. Even if you are alone at Christmas, you can have fun and hold a real celebration. How do you handle Christmas on your own? To minimize boredom and the feeling of loneliness, plan your Christmas activities in advance. You can have a very amazing celebration, even if you are on your own. Watch a favorite movie. Cook yourself a great meal. Use your PC to connect with the world and to have fun with others, even if it is people that you do not know. You will be amazed at the opportunities that this type of communication brings. Play a game or listen to your favorite music while having a glass of wine. Make Christmas your alone time and dedicate this celebration to yourself. Everyone needs to be pampered every now and then. Why not doing it on Christmas Eve? Hundreds of opportunities are available to people who are spending Christmas on their own. Go out and meet new people. Does this sound unusual? It maybe is but you will never find out what it feels like unless you give it a try. Attend a party. Volunteer for a charity. This will make you feel good about yourself. You will be helping others while getting to know new people. Who said that being single or having your family far away signifies you have to be alone at Christmas? Hold a Christmas party. Invite your best friends and their families. Instead of being alone, organize a great event that people will remember for the years to come. The best way to fight depression is to keep yourself busy. Organizing a party is just what you need in order to have fun and to chase all the unpleasant thoughts away. Even if you feel bad about the whole affair, force yourself to decorate your place. Christmas decorations will lift your spirit and will get you in the right holiday mood. Christmas is a time of wonders, peace and harmony. Be at harmony with yourself, if you want to enjoy the occasion. Decorate your Christmas tree and bring out the colorful items you have stored in attic boxes. If you want to have fun at Christmas, you need to get ready for the occasion. If you feel lonely and sad, give yourself a number of Christmas presents. Christmas shopping is always fun to do. What could be better than getting the gifts for yourself. Think of the items that you have long wanted to purchase but never had the chance to. Now is the time to buy the things that you need and desire. Enjoy yourself, even if you go over the budget. After all, Christmas only takes place once per year.